Whether you’re experiencing pain due to an injury, ailment, or some other underlying condition, it can greatly impact your quality of life. Fortunately, you can find relief or even experience a full recovery by working with a licensed physical therapist. Contact Partners in Physical Therapy today if you are interested in finding out more about how our physical therapy treatments can help make your elbow, wrist, and hand pain disappear. Whatever the cause of your elbow, wrist, or hand pain may be, physical therapy can help you. Our advanced treatments at Partners in Physical Therapy can help relieve your pain, restore your range of motion, and get you back to living your normal life. 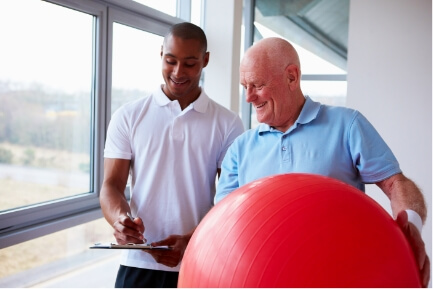 In many cases, physical therapy treatments can even help patients eliminate the need for harmful painkillers or invasive surgical procedures for nerve-damaging conditions like CTS. Don’t let elbow, wrist, or hand pain reduce your quality of life any longer! If you are looking for a physical therapist, contact our office today Lake Charles, LA center for an appointment and to meet with one of our dedicated team members. We will be happy to get you back to living the healthy and physically active life you deserve!